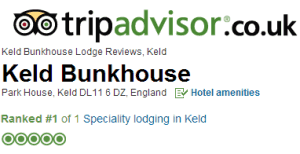 We're delighted to have been awarded 5 Star TripAdvisor Ratings for 5 years in a row, from independent guest reviews. 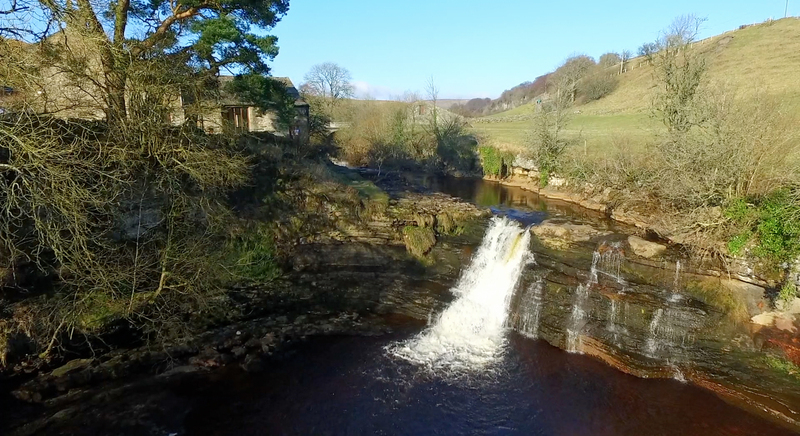 A warm welcome awaits you at Keld Bunkbarn, where stunning scenery and breath-taking waterfalls provide the backdrop to our luxury bunkbarn on the banks of the River Swale, right in the heart of the Yorkshire Dales. 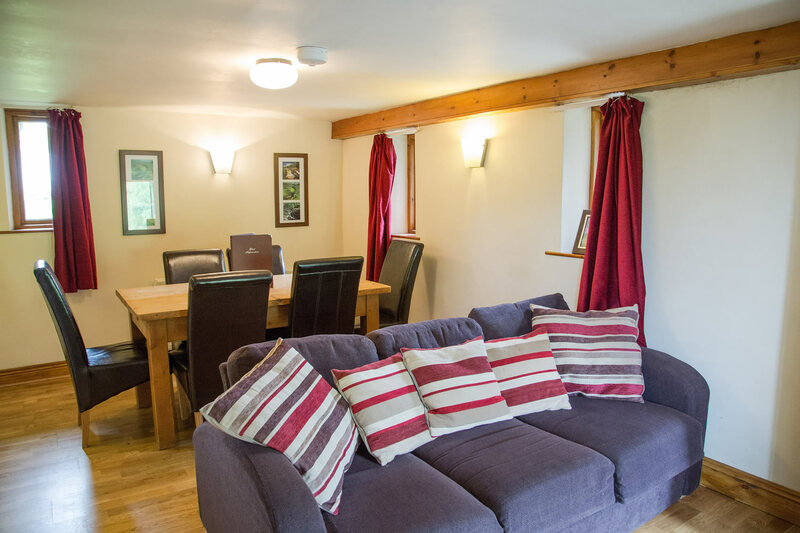 Our recently refurbished, centrally heated bunkbarn is stylish and comfortable and offers fantastic versatile accommodation. 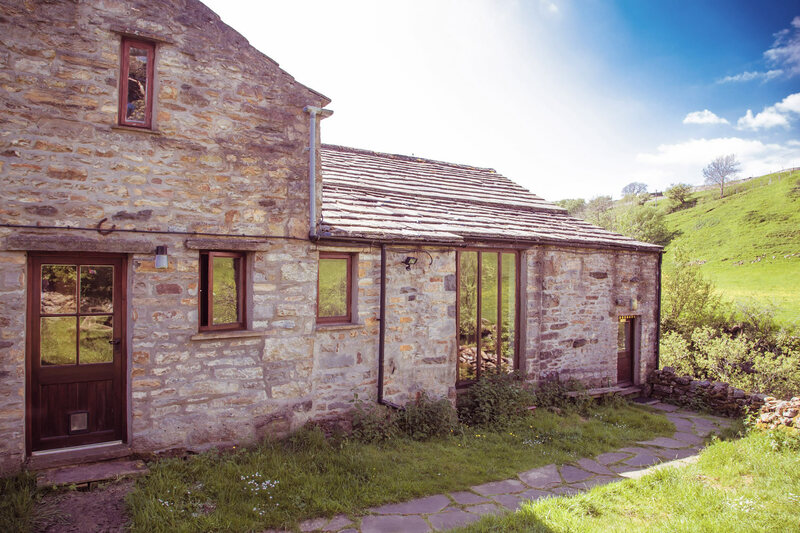 The barn can comfortably sleep 9 people, however if booking the whole bunkbarn it can accommodate a maximum of 12 people using a pull out bed and double sofa bed in the lounge, (please note that we do not necessarily recommend this as it can feel rather crowded). 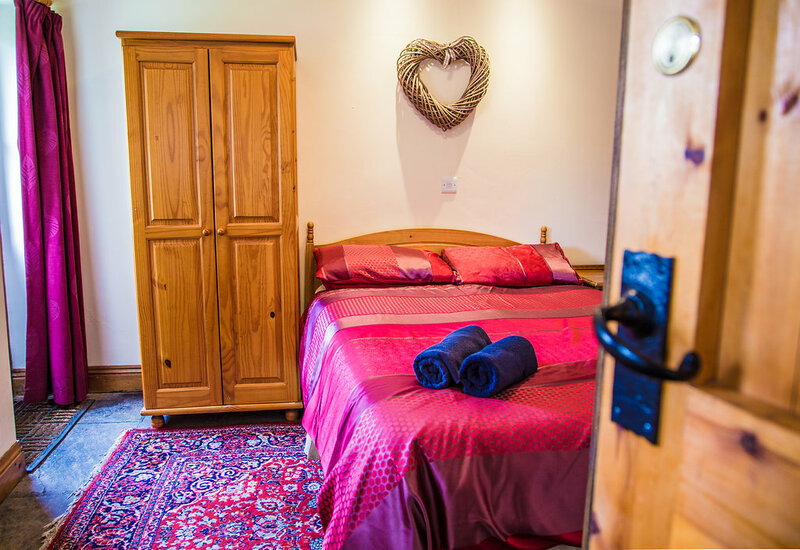 It’s ideal for individuals, couples, groups or families, as we offer complete flexibility, so whether you are looking for an individual bed in a shared room, a private room with or without en suite, or the whole bunkbarn, subject to availability, we’ll be able to accommodate you. On the ground floor is an open plan living dining and kitchen area with comfortable sofas, TV, DVD, free Wifi, board games and books. The modern fully fitted kitchen makes self catering both easy and enjoyable. 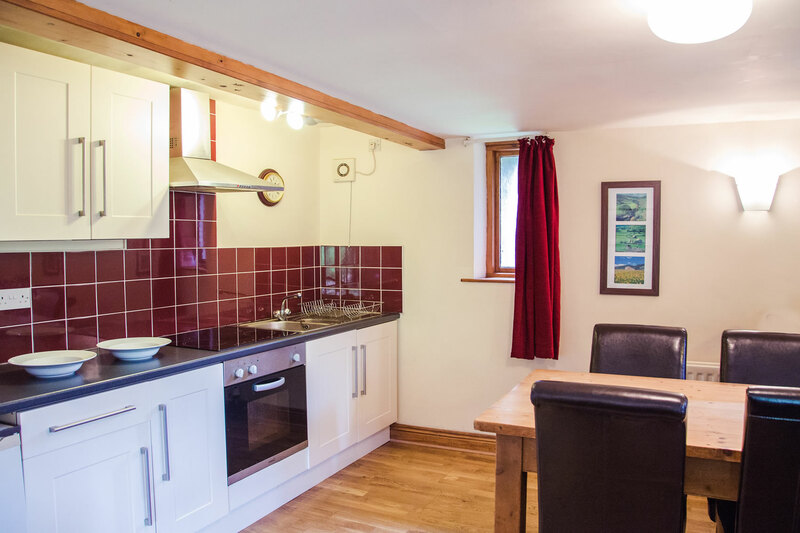 The kitchen is well equipped with an electric hob, cooker, fridge, microwave and toaster as well as all of the pots, pans, crockery and cutlery you could need. We offer a range of delicious home cooked evening meals, delivered to your door. To view a sample menu and for further details on how to order just click on the 'Food and Drink' tab. There’s a choice of 2 dining areas, one with a large table, perfect for groups or individuals wishing to get to know their follow travellers, or alternatively we have a smaller table overlooking the garden. We have a drinks license and stock a range of wines, beers and ales. Prices include a self service breakfast of cereal and toast, tea and coffee and we can also provide hot breakfasts baguettes if required for a small extra charge. Packed lunches are available daily, just let us know that you’d like the night before and we’ll have it ready for you in the morning. The bunkbarn has a drying room for boots and coats, plus washing and clothes drying facilities are also available. We also offer a professional boot drying service for a small charge. You’ll find the scenery in every direction stunning. 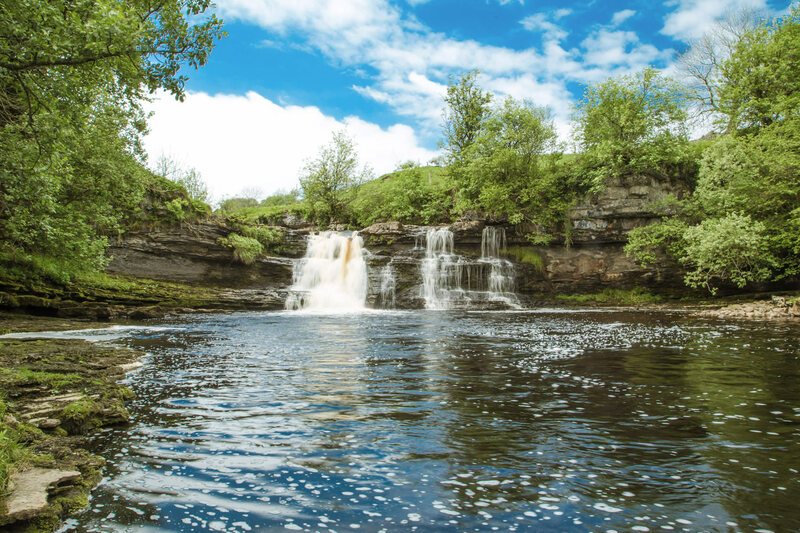 The bunkbarn has a garden with picnic tables which overlook our 30ft waterfall (Rainby Force) and you might be lucky enough to see kayakers paddling over the falls, or brown trout trying to jump up them. Guests have access to the private waterfall. If you are booking the whole Bunkbarn, well behaved dogs are welcome. One dog is also allowed in the double en suite room as long as the private entrance is used so that the dog does not go into the communal areas. We regret that dogs are not permitted in shared rooms. Dogs however are welcome next door at Swaledale Yurts or on their campsite (visit www.swaledaleyurts.com for more details). A break with us allows you to go ‘off grid’ and escape the pressures of modern life, enabling you to completely relax and unwind. With no mobile signal you can really get away from it all and make lasting memories in the company of friends, family or loved ones in the most beautiful of settings. Fear not though, if you do need to be contacted in an emergency or if you need to get in touch with anyone you are welcome to use our landline and we also have free Wifi if you need to get online. Check in is 3pm, however if you arrive early you are welcome to use the campsite facilities while we get the bunkbarn ready for you and check out is at 10.30am. 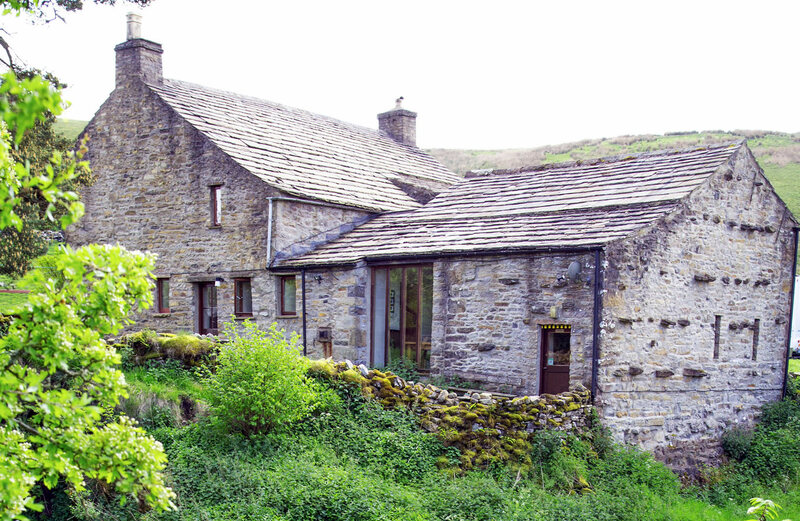 Please be aware that the bunkbarn is located on the banks of the River Swale so children must be supervised.